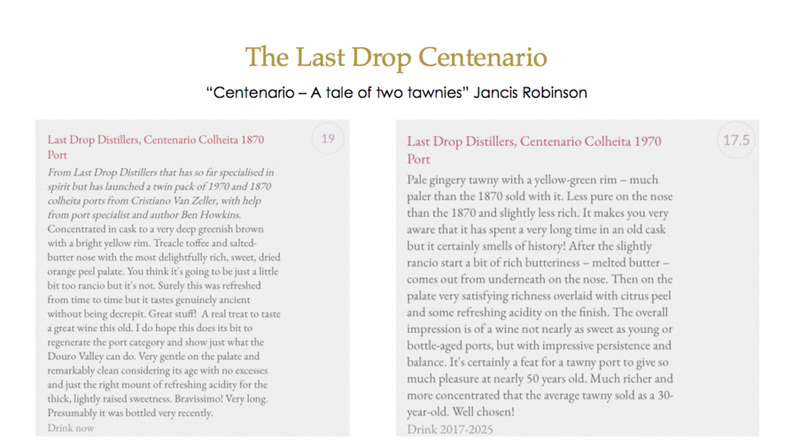 STELLAR REVIEWS FOR THE CENTENARIO PORT DUO! 97 POINTS! Neal Martin (formerly of Robert Parker's The Wine Advocate) has awarded the 1870 97 points and the 1970 93 points. Click here to see the full reviews on our product page. Jancis Robinson MW has awarded the 1890 19 points and the 1970 17.5 points. See the full review below.